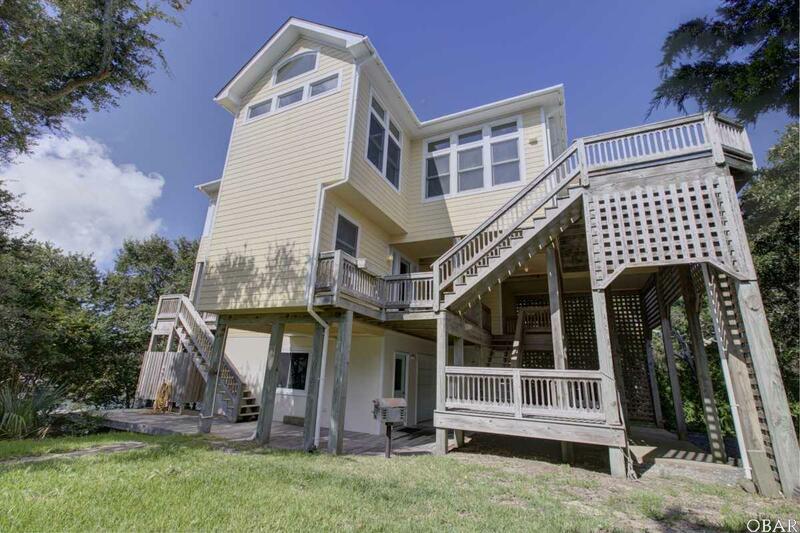 The scenery alone greets you when you pull up to this beautiful 3 bedroom, 2.5 bathroom home in Friscos Brigands Bay on Brooks Island. 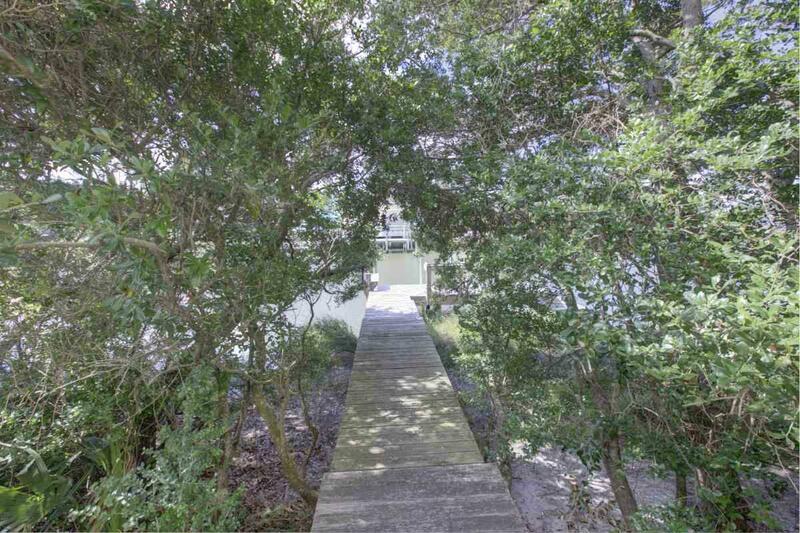 Plenty of trees surrounding the home provide shade for those hot summer days and nothing beats being near the water! 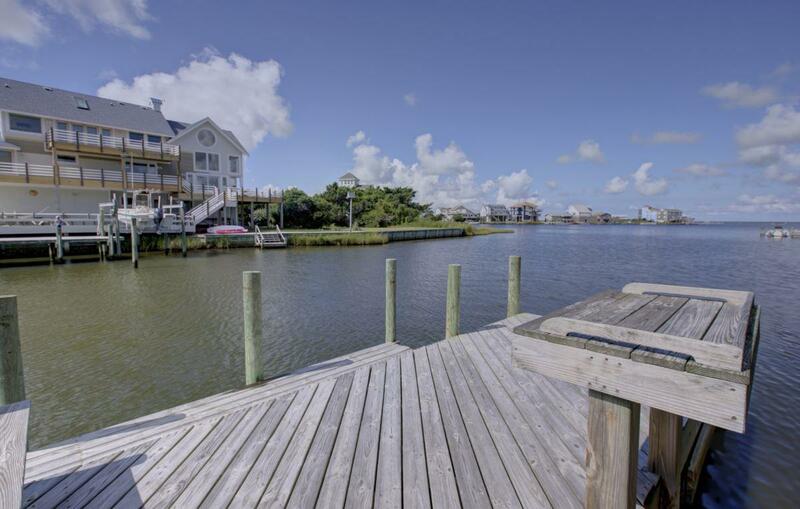 Located on Friscos sound side, you have gorgeous views of the sound and even a walkway leading up to the dock. Whether you are sitting on the built-in bench on the dock or cleaning the days catch on the fish cleaning table, this area is perfect for the water lover. A two-car garage with plenty of storage space under the home is a great space to store belongings and protect your vehicles from the weather. Take the exterior stairs up to the main entry and step onto tile flooring. Beautiful wood trim and accents add to the natural beauty of this home. Take the hallway to find bedrooms, bathrooms, and a utility room. With light coloring, plenty of windows and sliding glass doors, the sunlight adds a fresh and airy aspect to this home. Follow carpeted stairs to the second floor and see the upper level continued with light colors, wooden trim and wooden wall accents. To the left enter into the kitchen complimented by an island style breakfast nook. Continuing to the left, enjoy a quiet evening in the sunroom. where tall windows give way to a picturesque view of the surrounding area. Across from the sunroom step into the living area, with a fireplace, sliding glass doors to the large deck, and high ceilings, this living room does not disappoint! Plenty of windows in the dining area allows you to dine with a view! The hallway will lead you to the spacious master bedroom and bathroom. The master bedroom also includes sliding glass doors to the deck making this a great spot to unwind after a long day. 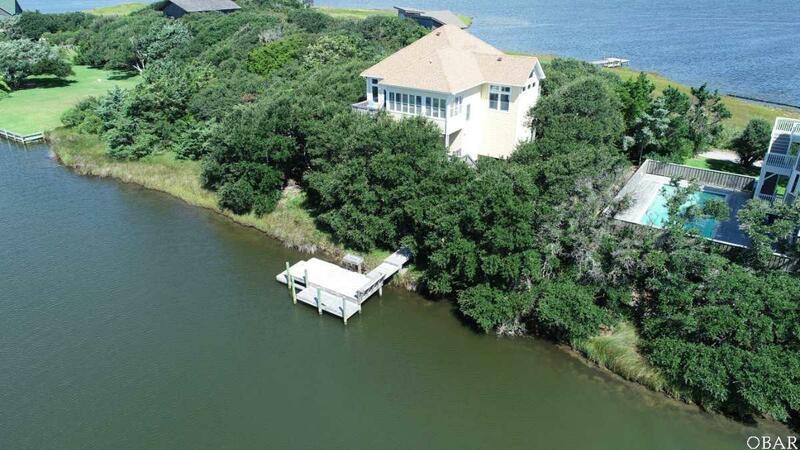 This home is calling to be your familys primary residence or vacation home! Definitely a must see!